Description: UML sequence diagram is used to document the dynamics in an object-oriented system. 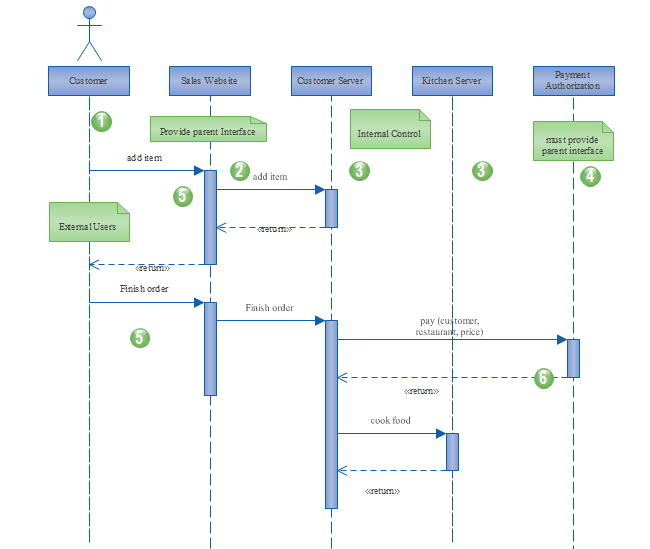 This website UML sequence diagram is created using pre-made symbols and shapes. The activate symbol can be automatically glued to the object timeline, smart and perfectly fitted, which saves you plenty of time from connecting the shapes. Free download and customize this UML sequence diagram for your own use.